I’ve been feeling decidedly un-Christmassy this week. We’re not going home for the holidays and I haven’t managed to persuade anyone to come up here. We haven’t quite decided what we’re doing on Christmas Day, but the turkey, brussel-sprout menu that has been offered by some friends doesn’t really inspire. I can understand turkeys for Thanksgiving, but how is it that such an American fowl can be considered traditional British Christmas fare anyway? As for the brussel sprout – don’t the locals know that it isn’t really a holiday vegetable? It’s clearly the only plant that continues to grow in this weather. To remedy the situation, or at least to instil some festive spirit into our third floor apartment, I decided to get baking. 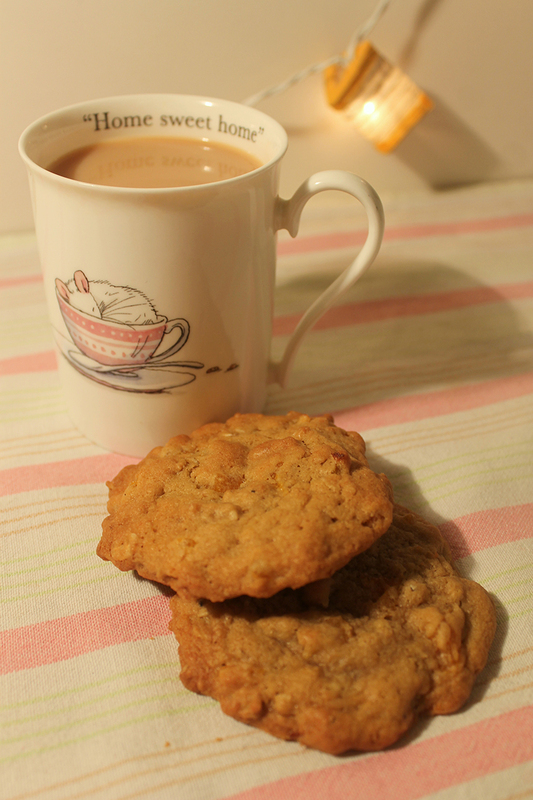 Spiced biscuits, cakes and breads smell homely and festive at the same time, which is just what I needed. On Saturday, I made the dough for my mother’s Christmas cookie recipe. It’s always so sticky from all the honey that I prefer to leave it in the fridge overnight. 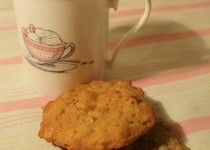 On Sunday, I baked the cookies. Beat the eggs and sugar. Warm the honey and add to the eggs. Mix remaining ingredients together and to the eggs, sugar and honey. Wrap in cling film and chill in the fridge until needed. Roll the cookies out to 8mm thick or thereabouts. Bake until light brown. 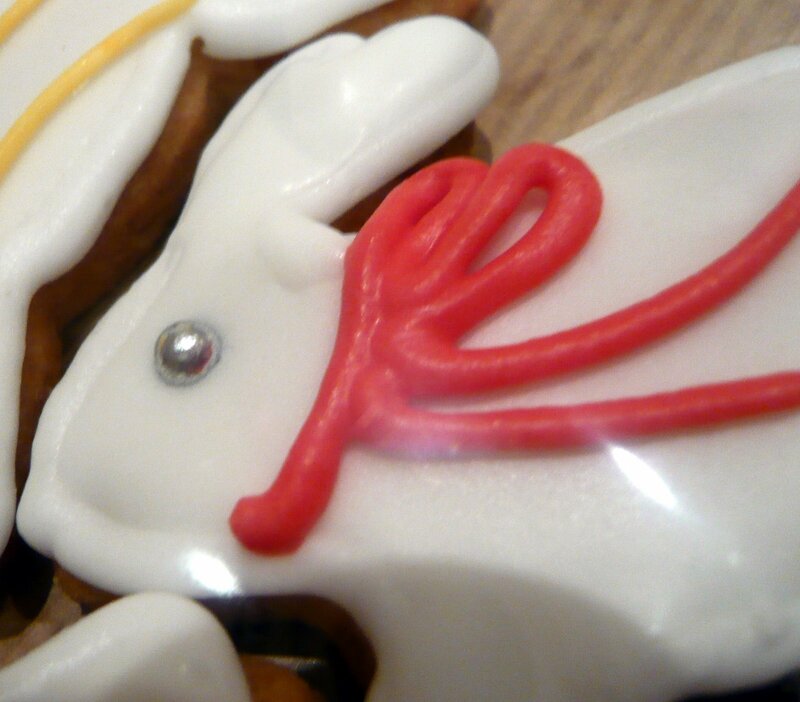 My cookie cutters were mittens, woolly hats, stars and stocking – excellent for piped royal-icing knitting. See my easter cookie recipe for the icing. The week before Easter, my mum and dad visited us in Edinburgh. As a present, my mum brought me four Easter cookie-cutters that she had picked up in Germany (where they had spent the previous month). She brought me a fat (woolly) sheep, a thin sheep with long legs, a leaping rabbit and an egg. Cream together the butter and sugar until pale and fluffy. Beat in the eggs and vanilla extract. In a separate bowl, whisk (or sieve) together the flour, baking powder and salt. Add the dry ingredients to the wet mixture, one cupful at a time. Stir until you have a smooth dough. Divide the dough in half and place each lump onto a piece of plastic-wrap. Remove one half of the dough from the fridge and roll out, on a floured counter top, to a quarter-inch thickness. 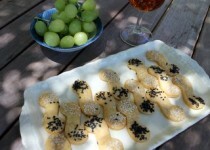 Cut out cookies and lay on a baking-sheet covered in baking parchment. Place each tray of cookies into the fridge for twenty minutes. Bake the cookies for ten minutes. Leave to cool on the tray for a minute or so, before removing to a wire rack to cool. I use the fingers of one hand to get the butter and sugar started, as I am often not organised enough to take the butter out of the fridge. Once roughly combined, I switch to a spoon to avoid melting the butter. When refrigerating the dough for the first time, I press the lumps out into half-inch thick disks. This way the dough cools faster and more evenly. Sugar cookies are not really very exciting. The icing is what makes the whole thing fun. This time I made white royal icing for flooding and used cocoa and different food colours for decorating. Quantities are rather inexact as I always seem to need more egg-whites and sugar than I expect I will. Beat together the egg whites and lemon juice. Slowly beat in the icing sugar (mixed with cocoa, if you want brown icing for brown bunnies) a little at a time, until the icing is the appropriate consistency. 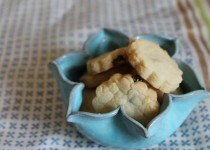 For outlining and decorating the cookies, the icing should form peaks in the bowl. For flooding the cookies, test the consistency by lifting the spoon and dribbling icing back into the bowl. The trail of icing should sit on the surface for a few seconds, before disappearing back into the mix. I only have one piping bag, so I use baking-parchment to make icing cones. I find it easiest to fold a square of paper in half, then use the folded edge of the paper to form the point of the cone, by wrapping up and around at each side. I usually secure the cones with some tape. 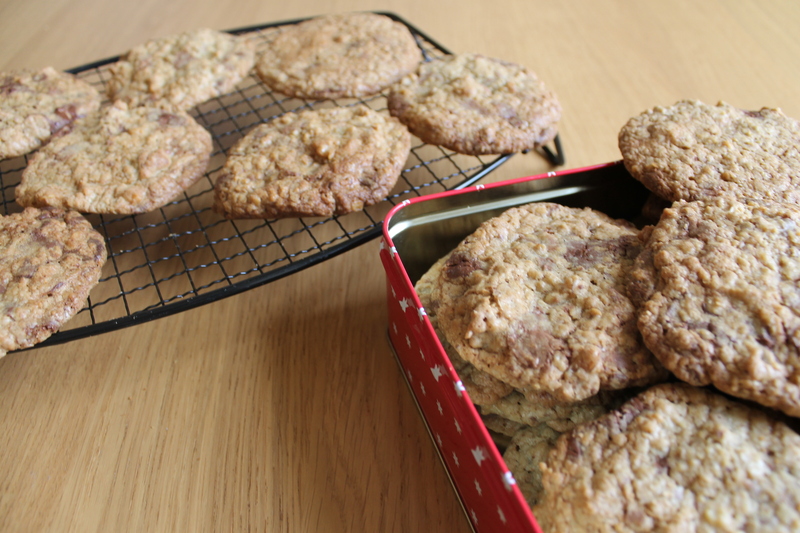 I also snip the smallest possible hole in the bottom and have a go on some paper before starting on the cookies. 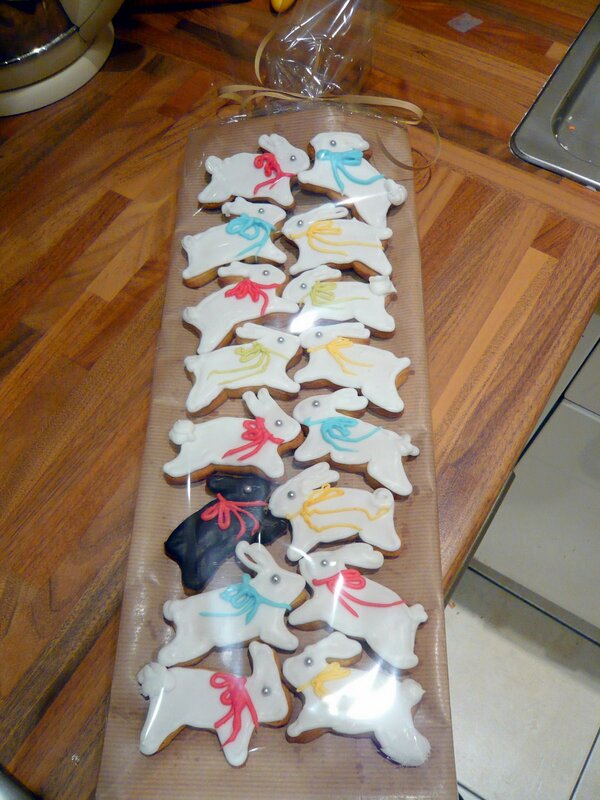 I outlined and flooded the bunnies in white icing. Then I used coloured icing for the bows. On the sheep, I swirled the firmer icing in circles to look like wool and gave them bows too. The eggs were a bit of a mess: stripes, dots, squiggles and I even played with marbling (dipping cookies into flood-icing with food-dye only partially stirred through.) It was great fun, and extremely messy!